Welcome to the Nevada Big Deals Store!! Certificates can be picked up at our Double K Country Office at 414 East Walnut Street in Nevada. Nevada Big Deals offers FREE Shipping, so if you can't make it to our Double K Country office, just give us a call! 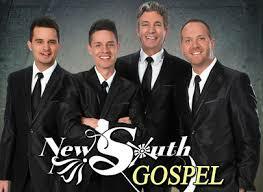 The new Branson Show New South Gospel is southern gospel music that's as good as it gets! You'll be treated to everything you love about gospel...inspiring hymns, touching lyrics, and upbeat numbers that get you movin! 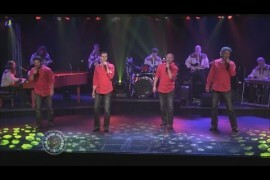 This brilliant quartet belts out your favorites, exceptional gospel songs from long ago to today's rousing numbers. 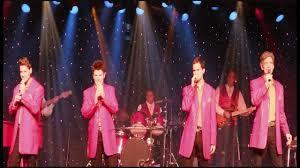 You'll hear music from the Jordanaires, Bill Gaither, and more. In addition to the incredible harmonies of these four talented guys, the lovely and gifted Jackie Brown shares a few numbers and, as an added treat, Jim Dandy gets in on the act! All this glorious singing is obviously the core of great gospel, but it wouldn't be the same without an excellent band; the sensational Grand Band pulls the incredible sound all together! And the band's pianist isn't just any old player; they're blessed to have the impeccable talent of Mr. Tracy Heaston; he's the superb musician that's so good, he can actually get people to stand still at the exciting Silver Dollar City theme park just to listen! 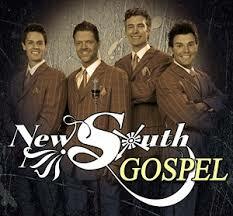 If you want to have the best afternoon of entertainment you can imagine, spend it with New South Gospel in this fantastic Branson Show...you're gonna have a grand old good time! 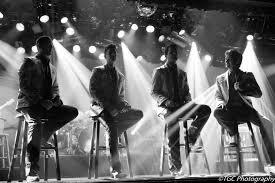 The show is on Thursdays at 3:00 P.M. The last show is on Thursday, December 12th. Taxes and fees may apply.